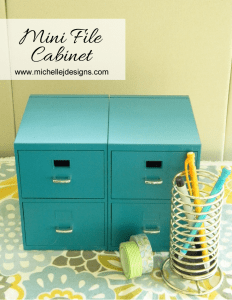 Do you need a desk drawer organizer? Or, for that matter anything else? Just look around your house and more than likely you will find your solution. I found an instant desk organizer in my garage. I was thinking about what I needed or wanted in my top desk drawer and I went out there for something else and voila! There it was. This was a garage sale .50 purchase. Peggy was really the one who told me to get it. I didn’t know what I would use it for but knew it would be good for something someday. I did not do much to it but this is what it looked like when I purchased it. I went out to the garage for something and I saw it on the workbench. I had forgotten about it but wondered if it would fit in the re-vamped file cabinet drawer. I took it in and it was just about a perfect fit. 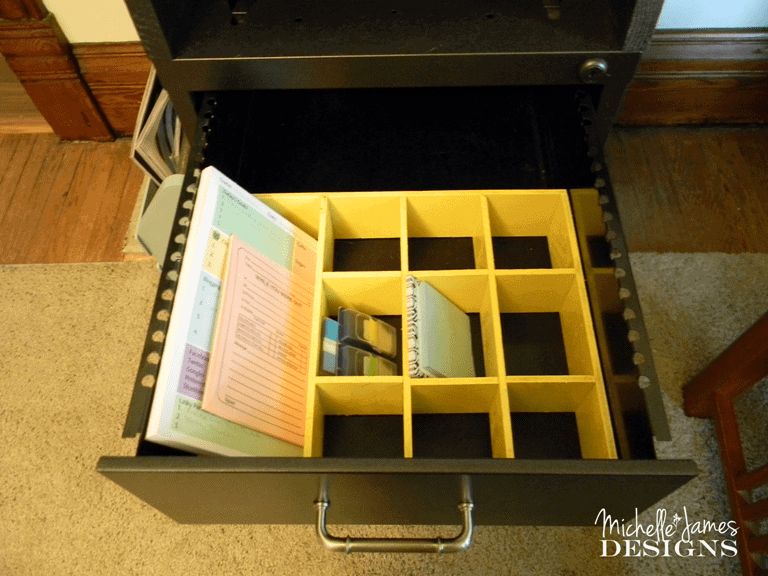 It would work great…an instant desk drawer organizer. All I did to it was give it a couple of coats of spray paint. I liked the yellow that I had and there was plenty in the can so that is the color I chose. It needed about three coats. I love that it has one space that is completely open. I was able to fit my day planner pad in that section and some post it notes and page markers in different sections. I still have a lot of empty space to grow as well. That makes me happy. What do you think? It was really easy but was the perfect solution to a problem I was having. Now I can store all of post it’s and other things in one spot neatly and in an organized fashion. Who doesn’t love that? 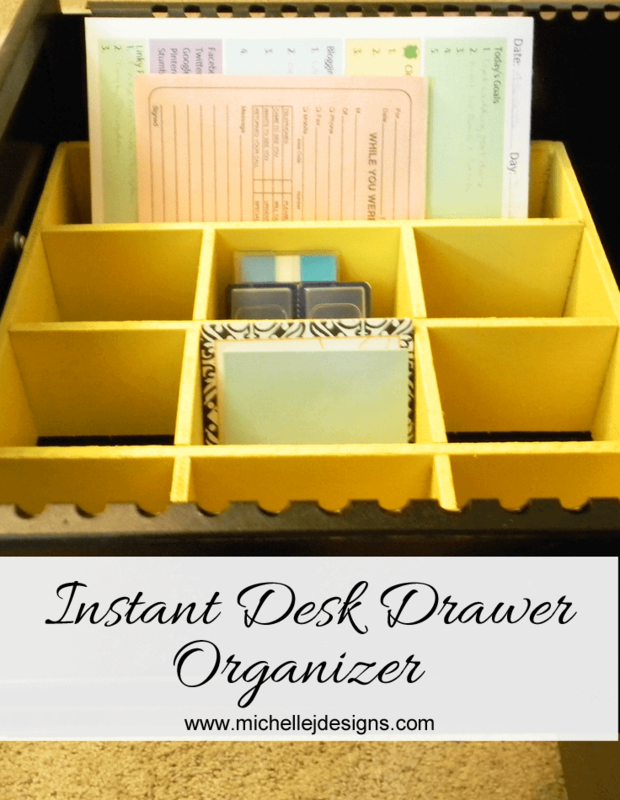 It was literally an instant desk drawer organizer. 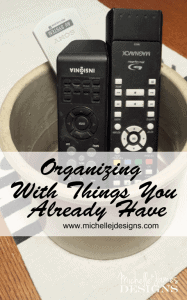 Have you found items around your house to use as organizers? I bet you could. 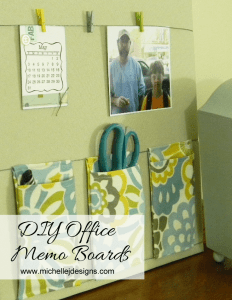 You can see some other desk organizers that I have made like my quirky desk organizer and my DIY Office Memo Boards too.. They just might spark some inspiration for your own office/work space! You couldn’t get much more perfect than that! I really like the yellow, too. Do you think it was some kind of shadow box originally? Hi Carol. Yes I do think it was a shadow box shelf thingy to start with. That is how I originally saw it and it just clicked with me when I saw it laying on the work bench in the garage that it may fit in the desk drawer. So happy with it. Thanks so much. Great find, and how lucky that it fit so well! 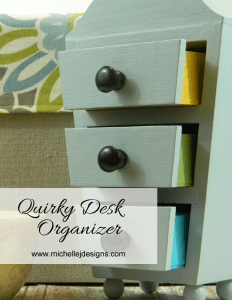 I made drawer dividers from old cereal boxes which is cheap, easy and works well but in future I will keep my eyes open for a shadow box or shelving unit type thing like this that can be re purposed. Hi Julie! I had thought about the cereal boxes and I do love that idea. 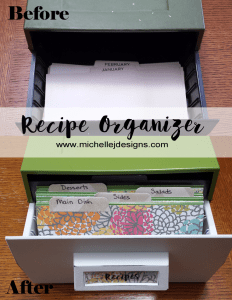 I have seen some awesome posts about using them as organizers. I just got lucky with this one but I do see these types of shadow boxes at garage sales a lot! I bet you will find one. Thanks for stopping by! Thanks Jamie. I love it too and use it daily! Hi Audrey! It is nice when that idea pops into your head and you have all of the materials. This one just came together so easily! Thanks for stopping. Clever idea! I am co-hosting with you this month the #HomeMattersParty, please visit me too. Hi Enzie! I will definitely be over to see you! Thanks so much for stopping by. Peggy’s got a keen eye! What a great find. I love that cheery color you chose too. 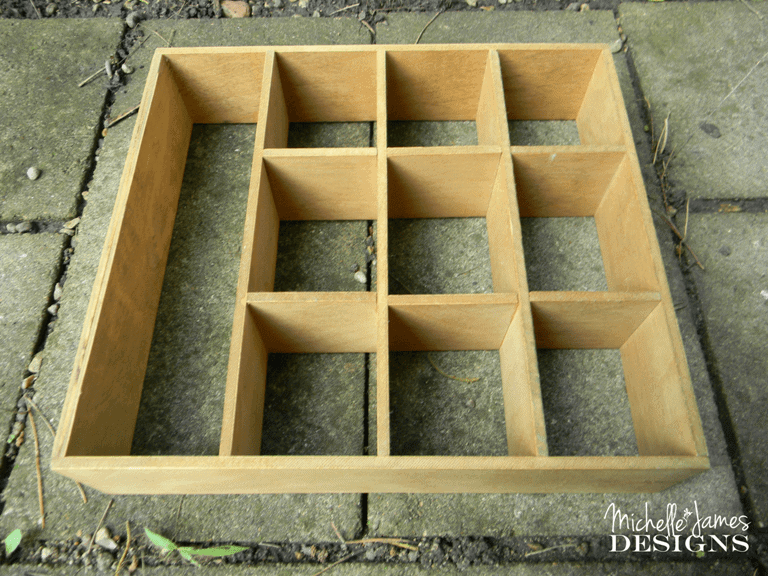 Great repurposing project! Hi Heather. She really does have a keen eye. There are things she sees that I am completely missing. 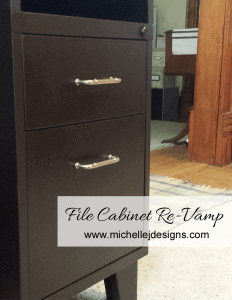 I would have missed a lot of great re-purposing projects without her. It is nice to have a friend that has your back…and your blog. LOL! Thanks for stopping by. Thank you Sarena! It turned out pretty nice and it does work out well. I use it daily. Thanks for stopping by. Perfect. What a great desk organizer, and you can’t beat the price! So happy to be co-hosting #HomeMattersParty this month with you! Hi Shann! I do love it when the project Gods help out and make everything right for the right price. LOL! Nice co-hosting with you as well. Wow!! That looks great. 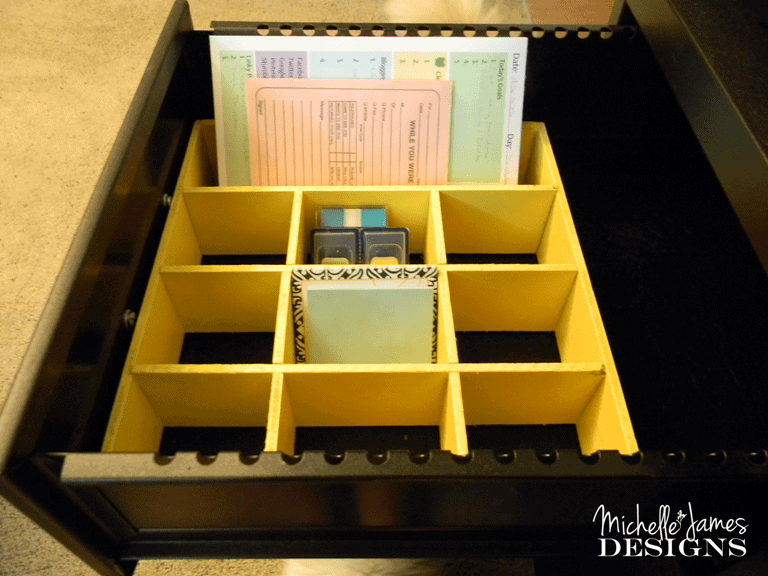 I love organizer with many compartments. Great to be co-hosting with you at #HomeMattersParty. Hi Sahana – it does hold a lot of stuff in the compartments and has worked out great! Thanks for stopping by. Thanks Chelsea! I do love it and it works out great. It is fun co-hosting. I am having a great time meeting everyone. 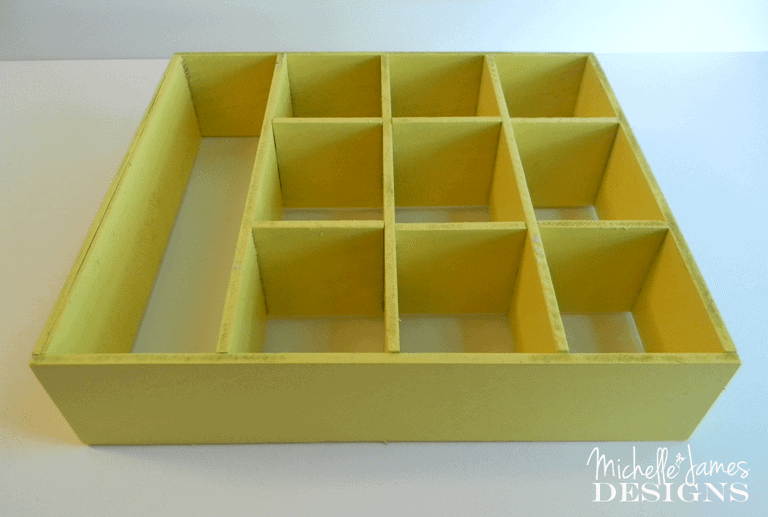 Such a smart upcycling project and I love the bright yellow colour. It’s an unexpected pop of colour when your looking through your filing cabinet! Glad to be cohosting with you on #HomeMattersParty again. Thanks Sonja! I like the yellow too. It is fun and you are right…an unexpected pop of color. Thanks for stopping by. Great repurposing of that tray. And that yellow color is a lot of fun. Hi Alayna! The yellow is what I had in my supply of spray paint, which I use all of the time, but I knew it would be a fun color to use.